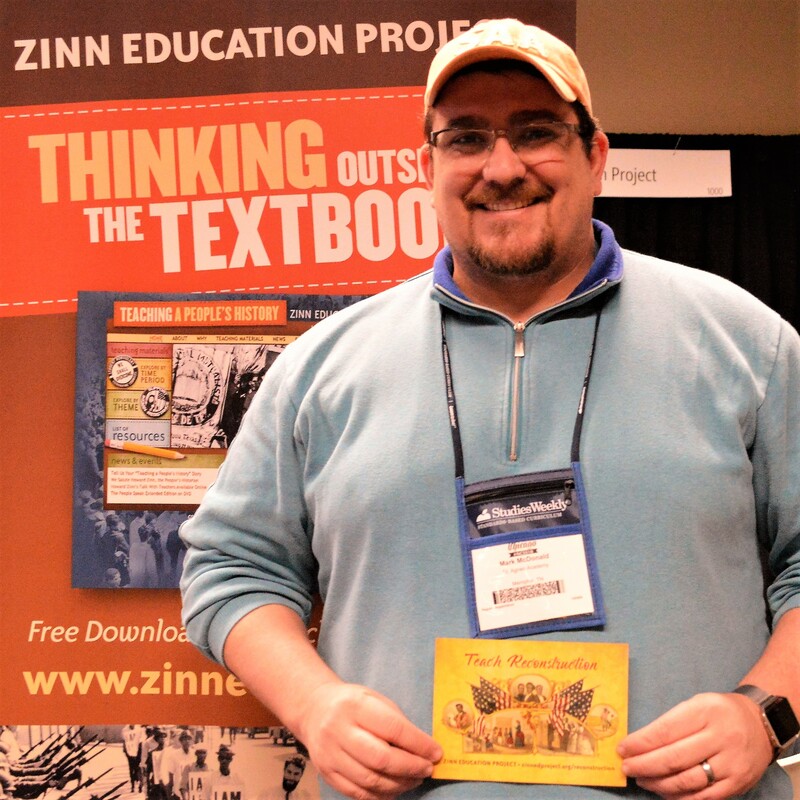 As part of our Teach Reconstruction campaign, the Zinn Education Project offers two free lessons, “Reconstructing the South: A Role Play” by Bill Bigelow and “When the Impossible Suddenly Became Possible: A Reconstruction Mixer” by Adam Sanchez and Nqobile Mthethwa. The first lesson engages students in thinking about what freed people needed in order to achieve—and sustain—real freedom following the Civil War. It is followed by a chapter from the book Freedom’s Unfinished Revolution on the possibility of a radically democratic land reform following the war. The second lesson asks students to make connections between different social movements during Reconstruction. The scenarios and questions really made our students use critical thinking skills, which is often a challenge. With this lesson, students can truly connect with the experiences of the freed slaves. For a time period that does not always get the coverage it deserves, this lesson is absolutely perfect. These materials have found a permanent home in my curriculum. We offer more reflections below. Many of the comments provide insights into the “aha’s” students have as a result of studying the Reconstruction era and its meaning today. Our middle school does a big two-month unit about the Civil War. What I find each year is that I run out of time to bring things full circle in the classroom. We usually do not cover in depth (only briefly mentioning) the Reconstruction Era. We simply run out of time. I am hoping I can start to change this. I chose to first teach this lesson to a small number of students in an after-school setting. What I found was that the lesson had a lot of impact on the students’ thinking. It did an awesome job of putting them in the freedmen’s shoes. It really made them think about the difficulty in deciding what to do after the Civil War. It also made them realize that just because the war was “finished,” didn’t mean the fighting was finished. This unit really made students discuss what is “fair.” I heard several students say, “That’s not fair!” in their discussions. I believe that anytime that a teacher can get students thinking and discussing the idea of what is “fair” and the ideas of equality and liberty, then the lesson is worthwhile. I used the Reconstructing the South lesson in our inaugural African-American US History class. Many students had heard of slavery, but not the reconstruction era. Having them tell the story and negotiate rights during the role play was the beginning of changing their interpretation of black history from a deficit mindset to one of advocacy! “I can’t believe I never learned about this.” -J.L. “It’s empowering to know that my people WERE working for change, even back then, even with all the bad things that had happened to them. It makes me think we’re stronger than we’re given credit for.” -J.A. Students were eager to take their parts. Re-enactments always seem to be a hit, even before we actually do them! The biggest aspect of our time with it was talk of who actually was making the decisions and why was no one affected by the decisions involved in that process. The most powerful aspect occurred during our debrief after. The sudden realization across the room that somehow things are not all that different today swept the room like a wave. As if they all got it at once. And then the hands started shooting up left and right as everyone wanted to speak. Fantastic! We had so much spillover we added an extra day to the lesson just to cover current-day tie-ins. I recently used a modified version of this lesson in my 9th grade U.S. history course. This simulation led to an “Aha!” moment once the students realized that freedmen and freedwomen were not actually invited to participate in any of the decision-making processes following the Civil War. This then primed students for an inquiry into what extent life changed for freedmen and freedwomen. I used an excerpt from W. E. B. Du Bois’s “The Propaganda of History” to help students frame their thinking and analyze historical evidence in terms of its “truthfulness” in representing the reality of the experiences of freedmen and freedwomen during the Reconstruction Era. 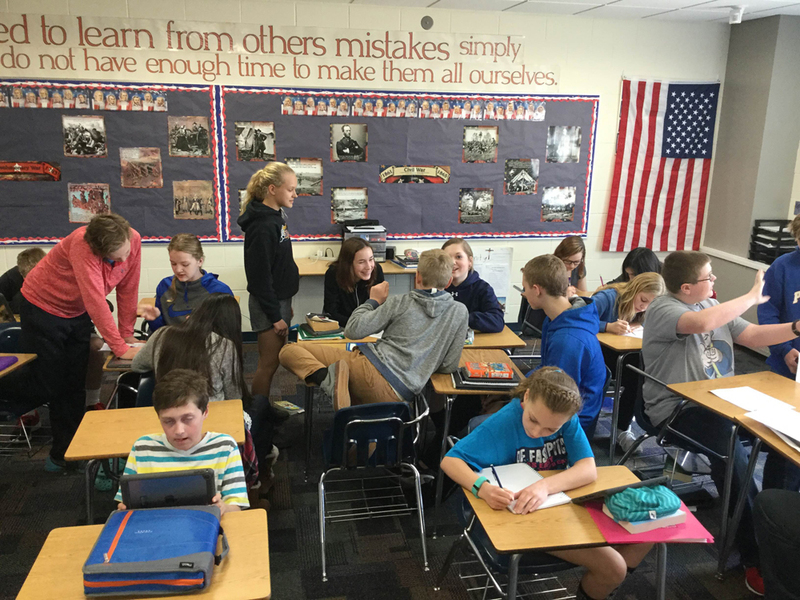 My 8th grade U.S. history students were engaged in their roles and, later, more engaged than ever before in finding out what choices were actually made the years following the Civil War. 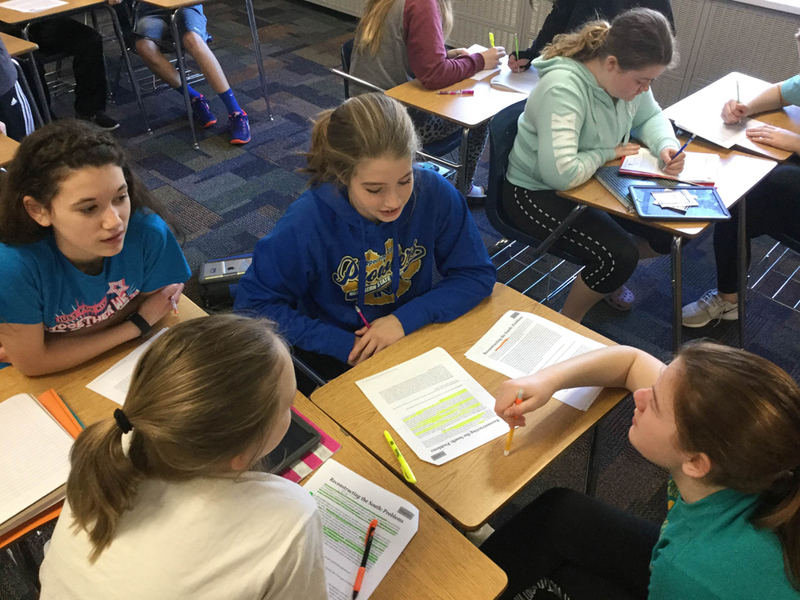 As we compared and contrasted solutions they had proposed with what really happened, they were able to better understand the cause-and-effect that led to the need for the Civil Rights movement in the 1950s and 1960s and to the racial tension and struggles that continue in the U.S. today. They could see how things might have turned out differently, if only different decisions were made in the past. I think the real power in this lesson, though, is in the impact it will have on the future. Having analyzed how decisions made 150 years ago still impact us today, my students are more likely to be purposeful and thoughtful in their own civic involvement as they move forward toward and through adulthood. I used the “Reconstructing the South” role play lesson in both of my two U.S. history classes (both AP and on-level), and was so encouraged to see how engaged and interested the students were. Moreover, I was fascinated to see how differently the two groups reacted to the same role play. In contrast, the on-level section were passionately egalitarian and radical, undaunted by fears of backlash, because they felt that Reconstruction was a perfect opportunity to use the federal government’s resources to strongly and boldly enforce their plans to redistribute land and enact suffrage immediately. My students enjoy and engage more with material that they can interact with. This lesson, “Reconstructing the South: A Role Play,” provided all of that. Students were able to question and critically think about their lives during this difficult period as freed slaves. Reading the primary documents and situations and then being allowed to deliberate on topics such as who and how one should own land, voting rights, and protection from the law. I teach seniors in the inner city of Minneapolis and racial issues are alive and well even today in 2017. With this activity we had a honest conversation of housing discrimination, job discrimination, and overall racism. This lesson led to a much needed and broader discussion among young adults. I was happy to be involved in it. I’m a new teacher and this is the first time I am teaching Reconstruction. I was unsure how it would go, but I love using materials that allow students to engage with the content. I decided to use this as an introduction to Reconstruction and overall, I think it went pretty well. I broke it down to two days: day one was some background notes and writing the monologue; however, I did modify it to be a diary entry or a letter to a relative instead. Day two was scheduled on a block (90 mins) which worked out great! I divided my class into two groups and held the debate in a “socratic” circle with one group as the inner circle and the other group, the outer circle. Since I have a large class and a small classroom, I figured this would be the best way for all students to speak and be heard. The debate went really well for my 5th period since they knew how to use the material to role play a bit more than my 6th period. Some students led the discussion more than others, but all students got a chance to speak. I also held them accountable for participating by taking notes. One student said, “Although it’s the right thing for us folks, it would be political suicide to claim all the lands as our own.” Another student compared trying Confederate leaders for their war crimes to how the Nazi officers were treated. (Great historic comparison!) 6th period has a higher percentage of ELLs so it was difficult to differentiate this activity for them. However, most of them were able to still participate when encouraged to do so. As a closure, they completed the reflection questions and I also stated that even though they had a great debate, their voices as Freedpeople weren’t really considered in reality. I’m hoping that left an impact on students and I can refer to that once we talk about the Civil Rights Movement. This activity is just what my special education United States History class needed to better understand Reconstruction. We are working on a more hands on learning atmosphere and this was perfect. I love your website and I can see the learning and fun occurring with my students. Kids love to act and play out a role, and it definitely helps them to maintain the material. I used this lesson in my American History 2 class because I wanted my students to understand the ramifications of slavery and how that played out during Reconstruction. The only way they really grasped the concept of Reconstruction was through this role play. Although it’s a stretch to get them to empathize with others who aren’t like them, and from a different time period, I find it imperative that they continue to try. One thing that helped my students truly comprehend what the Reconstruction period was like for African American women and men was the background history. It was short enough for struggling readers, but provided plenty of information. Also, I liked the handouts that stated the situations and arguments that various groups in South was grappling with. That arguments allowed students to know exactly how people during that period justified their actions. They really got into playing out those scenarios. The most important part of the lesson, though, was the questions that asked how students would respond to those same scenarios. I teach in a residential facility. My students are almost always behind academically and so their experiences with school have predominantly been very negative. Despite this set back, I’ve been able to get them to participate when I create a class lesson based on conversation and discussion. When talking about the civil war and the pervasive racism since then, it’s very easy for students to share their insight because many of them have had experiences dealing with law enforcement or have felt marginalized due to their race or appearance. When dealing with the role play, the students had a chance to see things from a different perspective. Many of them reflected on why the racial tension was there and still exists today. The only unfortunate part of the lesson was when we had to end it. Two weeks after completing the scenario, the students are asking me for another one, or at least to do it again! Thanks so much for such a great resource! This lesson was a very engaging experience for my students. I used this lesson in an 8th grade US history class. The class sizes were roughly 25 students each period. At first, students had some trouble grasping the concept of a role play debate. They kept trying to include their own personal feelings about the events of reconstruction instead of taking on the opinions of their assigned roles. I did one day where students researched information about their roles and the next day was the debate. The first debate was a little shaky, again because students were unsure of how to play their role. After students got the hang of the role play, the actions took off. I had to stop arguments early for the sake of time. Students were really arguing with each other constructively about the issues. They were able to take many different angles to each issue in order to convince their classmates that their view was the correct view. After the debates were over, many students asked me if we could do this again. This lesson really sparked the excitement for learning within my students! This was an excellent role play, which really got my students thinking about the varying perspectives in Reconstruction last week. After the enactment, we had a lengthy “debate” in which the students had to argue what the government should or should not do. Students then were given the assignment to research the current immigration conflict and find opposing, varying attitudes today, especially focusing on refugees. We will follow this up next class. These role plays can easily be tied to modern issues. 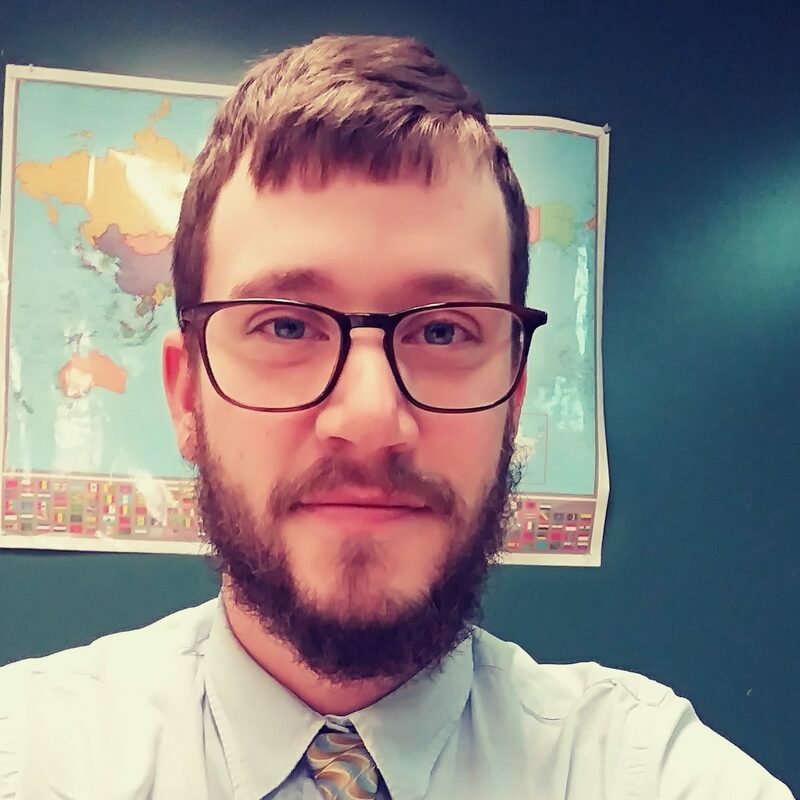 It is important in my classroom to deal with Reconstruction due to the far-reaching implications it has throughout the entire existence of the United States to the current day. I used the “Reconstructing the South: A Role Play” activity to jump-start the entire Reconstruction unit. Students received the Freedmen/women sheet to set the scene for the topic, then we dealt with the problems of the era sheet. Students felt like they could bring to class their own elements of past history, as well as the problems that freedmen/women faced during the era. The prompt allowed for student freedom, as I facilitated discussion around the room. Students enjoyed this but also looked to me for advice and with questions often. The discussion students had, once into each problem, was meaningful and addressed the major challenges many faced at the time. Every so often, I would also chime in and guide students toward insight they may have missed. Students really enjoyed the different nature of addressing history through this role play. They were able to critically think through the issues and struggled with others. After our role play, we continued to examine the role Reconstruction played in the post Civil War era. We examined its successes and failures, lastly touching on the ideas of mass incarceration and if Reconstruction truly was successful. My student teacher and I recently used the Reconstruction role play with our 8th grade students. We only had to make minimal modification for this activity to work for middle school. We were genuinely amazed at the conversations our students engaged in. The scenarios and questions really made our students use critical thinking skills, which is often a challenge. Another bonus of these materials is that it covers Reconstruction in a way that students can truly connect with the experiences of the freed slaves. For a time period that does not always get the coverage it deserves, this project is absolutely perfect. These materials have found a permanent home in my curriculum. 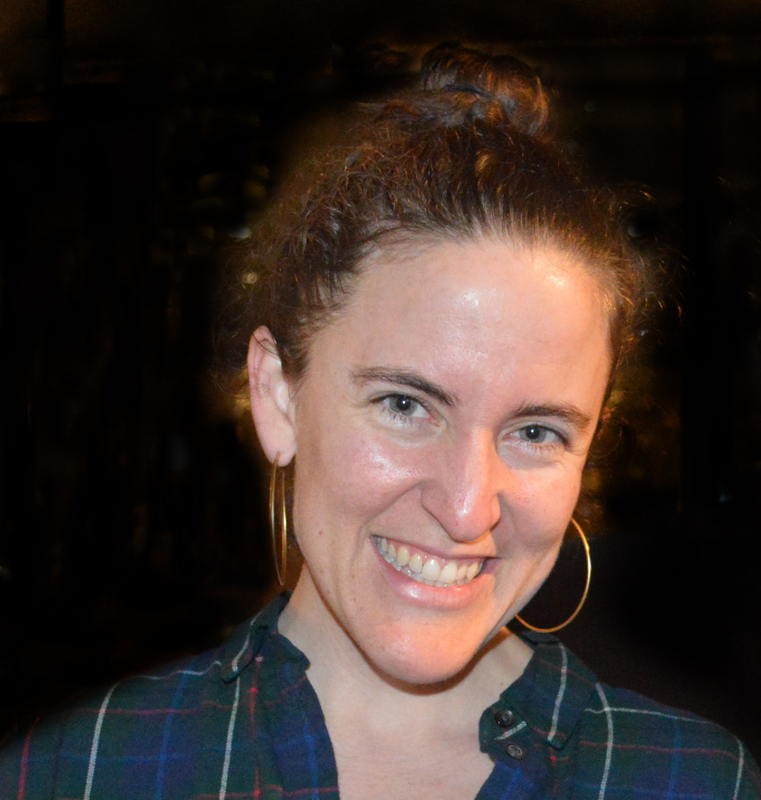 Thank you for your time and effort in creating thought-provoking materials for our students. While preparing to teach the Reconstruction unit this fall, I came across a powerful statement [from the intro of “Reconstructing the South: A Role Play”] regarding the typical treatment of the period in most high school classrooms: “What kind of country is this going to be? This was the urgent question posed in the period immediately following the U.S. Civil War. When students learn about Reconstruction, if they learn about this period at all, too often they learn how the presidents and Congress battled over the answer to this question. Textbooks and curricula emphasize what was done to or for newly freed people, but usually not how they acted to define their own freedom.” Needless to say, these words inspired me to seek out other resources beyond my textbook in order to help answer that important question. “Reconstructing the South: A Role Play,” by Bill Bigelow, helped inspire my students by engaging them in multiple roles and situations that brought to the classroom lived experiences. Instead of merely reading about the lived experiences, my students portrayed and thus, really began to examine their own perspectives and paradigms of their lives and those of others through this experience. In short, I believe it was a powerful and meaningful, learning experience for all of us. The material arrived just at the right time as I was getting ready to teach Reconstruction to my junior IB classes. I had them go through the first hand-out, then create characters (they really dived into creating authentic characters from the time), then we used the other material and had a good discussion during the role play. I implemented the lesson in my 9th grade African-American history classes. My students had previously engaged in Bigelow’s abolitionism role play and enjoyed the historical debates. Because of this experience, my students were prepared to engage in this lesson. I split my class into three small groups of 10-12 each. 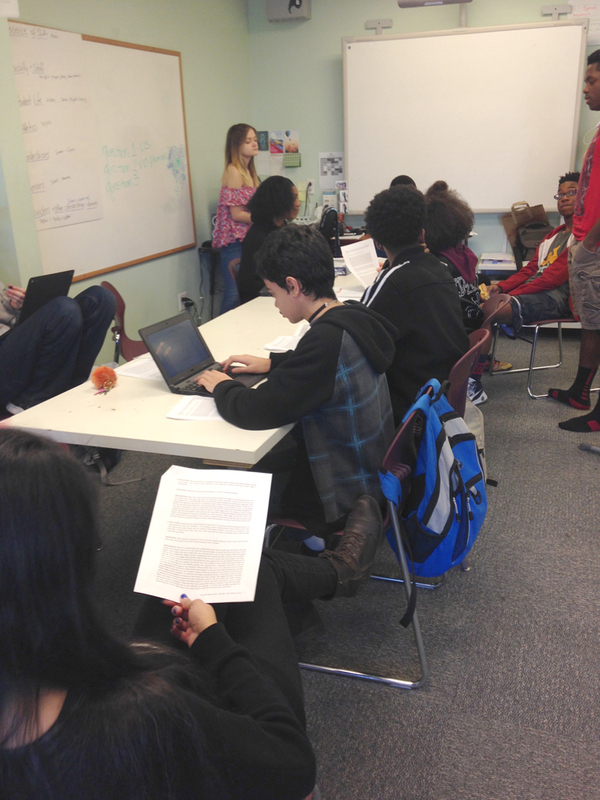 In their small groups, students spent two class periods discussing the six situations. At the end, each group created plans for Reconstruction to propose to Congress. We evaluated the plans through the lens of healing and justice. As an introductory lesson to the Reconstruction era, students were able to grasp the complexity of trying to reunite the nation. I teach an Africana Studies class for high school students at a city college. In my classes, we always emphasize the symbiotic relationship between history and the present. When I think of “Aha” moments in the classroom, I’m reflecting on how we used the lesson to draw attention to severe inequities then, as opposed to now. Though they have a lot of anecdotal knowledge, this lesson provided my students with a raw, up-close-and-personal simulation of the challenges faced by newly freed Black Americans. We made charts and vision boards in which students got to animate and share their thoughts and strategies for survival then and now. The visual takeaways were most valuable. Another powerful lesson was when two of my students shared stories about their OWN families—whose stories had been passed down from the last 1890s. These two students were able to share copies of letters and other material from their own families, who had roots in Mississippi and Tennessee. For my high schoolers, this proved to be most valuable because they were able to connect the lesson with the historical account and with their everyday lives. They actually began to see their own classmates in a way that may not have been possible without the creative stimulation of this rich lesson. For this simulation, the students were paired into groups of 3-4 as they made decisions on the future of Reconstruction. This made it difficult for students to come to an agreement on the solution for each of the six Questions/Problems presented, because each member brought a differing perspective/values. For example, the group of students in the first attached picture had an argument over the question of protection for the freedmen and women. One solution proposed by a group member was to revoke rights of gun ownership for those involved with the rebellion. Although most of the group agreed with this idea, there was one student who believed it was too radical and “resentment” would be the only major success of that policy. After class was done, I overheard the student (who disagreed with taking away gun rights for Southerners) in the hallway complaining still, how she cannot believe her group took that position. She said, “If we go to war again because of this, it is not my fault because I didn’t believe in that policy. I told them it was a bad idea and they didn’t listen!” I was happy to hear that the content from class was still on her mind, after the lesson had ended. As for the students in the second attached photo (zoomed out view), there were some kids who finished their solutions early and were wandering around the classroom to see what other groups came up with. You will see a blonde hair student standing by another group of four. She dropped by to see what they came up with on the topic of consequences for Confederate leaders. She could not believe that they planned to have the leaders executed. She went on to inform them that harsh retaliation may occur from other Southerners if they carried out this policy. The group did not come to an agreement with this other perspective. They believed that as long as Confederate leaders survived, there was potential for danger. They even argued (using their present-day knowledge), that groups like the KKK, may have ceased to exist if these leaders were disciplined harshly. Once again, these students continued this conversation in the hallway later in the day. The students love to participate in these types of simulations and I would have to say that this one sparked an interesting discussion. Thank you for the engaging activity! I used the lesson plan, “Reconstructing the South: A Role Play,” in my pre-AP 8th grade U.S. history course. I began the lesson by reading the short article titled “Freedmen and Women” and had the students number the problems African Americans faced after the war. I then explained that the students were all Freedmen and women on a committee formed to voice their concerns to their Congressmen. The students initially met with their shoulder partner to figure out how they would solve the problems from the perspective of a Freedman or woman. The students had great conversations. When a student said that Confederate leaders should be executed and others should be stripped of their political power, a group member replied, “But wouldn’t that only make Southerners hate us more?” Another student wanted to send troops into the South to protect the Freedmen and women, and someone pointed out that sending the military to the South would be expensive. She questioned where the Union would get the money to send these troops. I used this lesson for the first time in my 10th-grade American History course this winter. I often use Zinn Education Project (ZEP) lessons and always find them useful. Many “canned” lessons from other sources seem childish and phony, but never the ZEP lessons. After a giving my sophomores a good background in slavery and the economic issues leading to the Civil War, I used the Reconstruction role play over the course of two days — one to prepare and one to carry out. 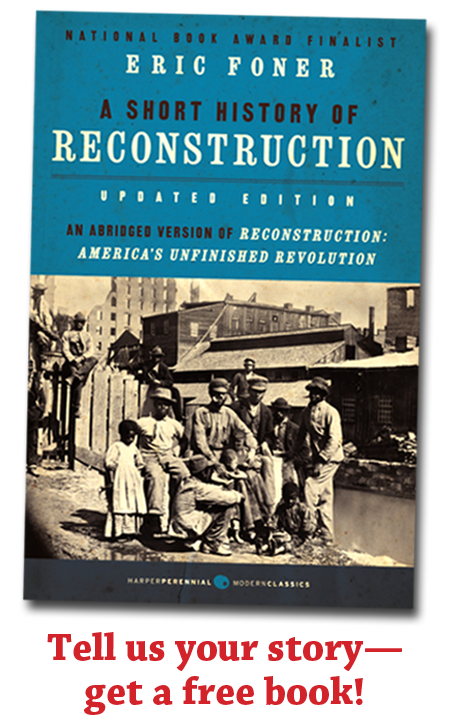 I saw my students understanding the problems of Reconstruction much more fully than earlier students had. Getting into the skin of a historical character is so powerful, and the variety of characters give such a full picture. 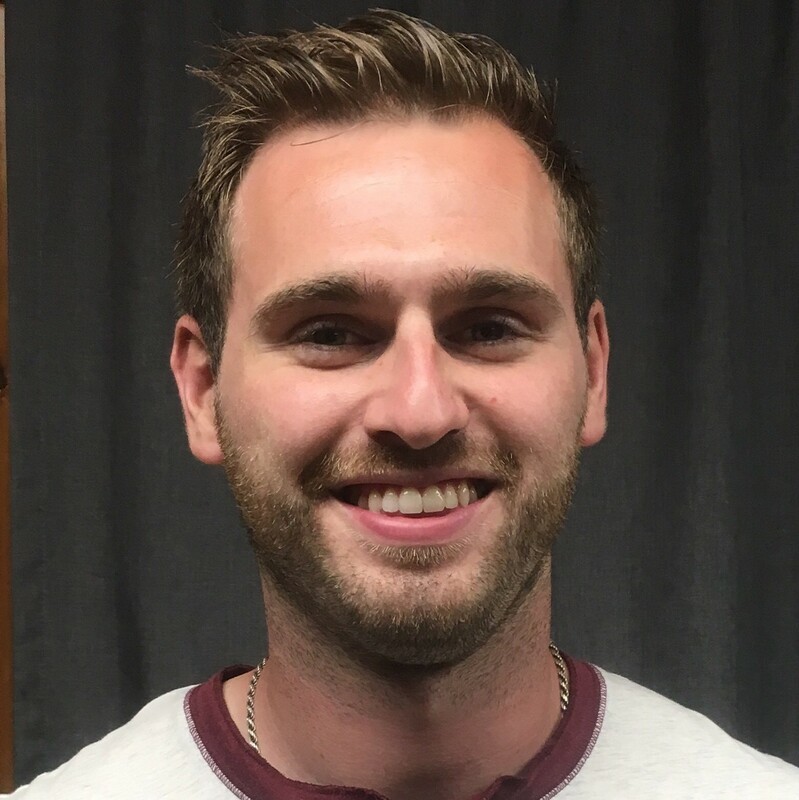 My students tend to come from different educational backgrounds: some are international students who have little background in American history, some have a limited background, and some, especially those coming from public schools, think they know everything (“we’ve learned this a million times”). I believe the latter students learned the most from this lesson, as they saw the issues from the “inside” for the first time. I will definitely use this lesson again next year. This roleplay was a great way for students to put their knowledge into practice. I had my APUSH students read from their textbook and several primary sources before the exercise. There were many times they had to talk with each other to actually discover Point of View and Contextualization. This activity was very much like something I have done in the past, yet so much more engaging. APUSH students were able to consider all points of view and especially the perspectives of newly freed African Americans and people in the West. When I have asked students to construct a Reconstruction Plan in past years even the most advanced students would not consider all peoples’ voices. This is a great way to get students to lead the class. I have done variations on this type of activity for a number of years now. This however, was the first time I have had the students complete the activity through the lens of freed African Americans. This lesson took 3 class periods and involved deep and controversial discussion. 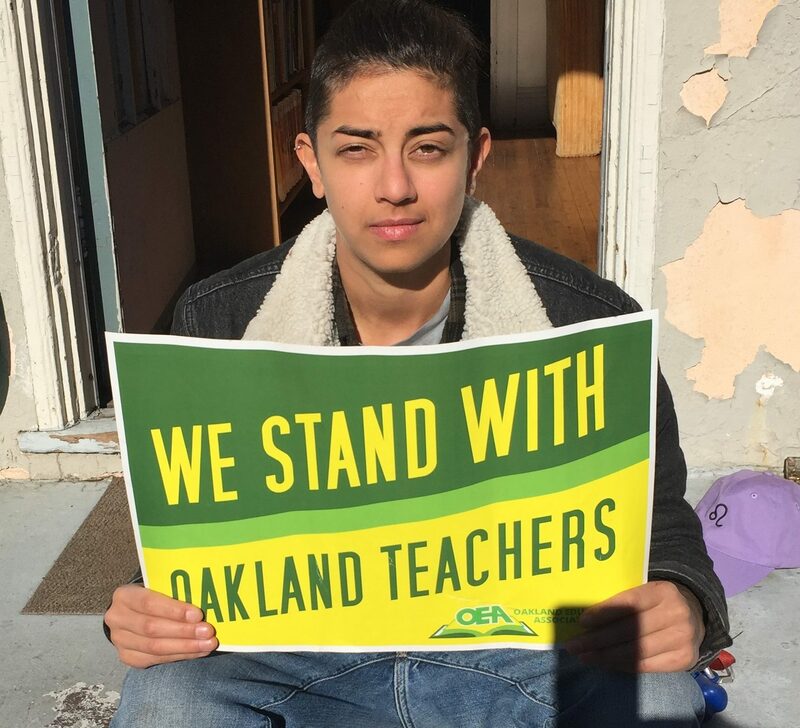 The roster is primarily Black students in a charter school targeting students with educational gaps with many survivors of trauma. There were 2 unexpected directions this discussion went. The other unexpected twist was how many students admitted to being “mixed” so it isn’t fair to only have reparations or consequences for folks who are “full.” This took us down the path about assumptions we make about others based on skin tone, how and why that happens today, and the conclusion that that isn’t how they want to be treated or treat others. It was some of the best discussion and least resistance to writing (after the discussion of each question they had to write what they thought should happen and why) I have ever had. Thank you for making this available. This lesson, “Reconstructing the South: A Role Play,” provided the real life relevancy needed by my students to grasp the concepts. The concepts of slavery and the freedmen is extremely difficult for my students. By using this lesson they started to question and critically think about this difficult period of the freed slaves. The primary documents and situations focused on Reconstruction topics that have been difficult to make relevant. I loved, loved, loved the interaction and especially the level of inquiry of this topic. 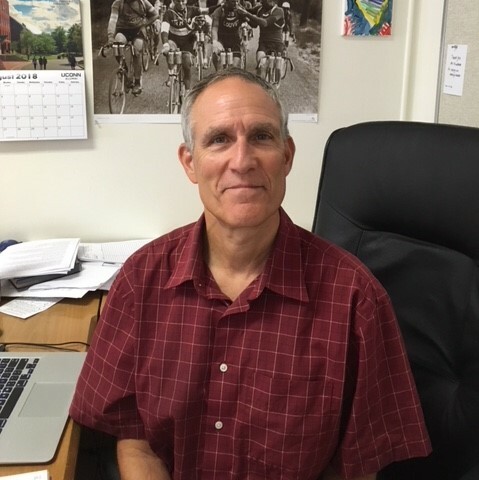 I teach 8th grade in Holmen, Wisconsin. Although a small town, there are racial issues, discrimination, and prejudice. With this activity, we had an honest conversation about discrimination and overall racism. This lesson led to broader discussions among my students as well as at home. Thank you for putting this lesson together. Teaching reconstruction is always a challenge. Teaching reconstruction in a homogenous, white, upper-class school in the north is even more of a challenge. How do I get my students to see the impact reconstruction had in the south? How do I get my students to see and understand the impact reconstruction’s failure had in the south and America up to today? These things have always led to me feeling that I am not giving my students the best when it comes to reconstruction. This lesson plan gave me a way to teach reconstruction to the students that will have a lasting impact. It shows more than the “textbook” answers to reconstruction which focus on the battle for the south between whites. 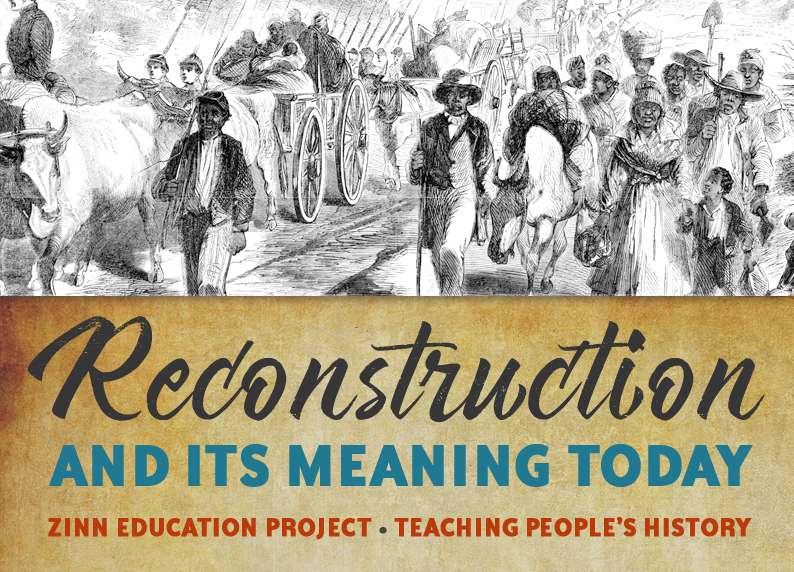 Reconstruction had the biggest impact on newly freed African Americans, and this lesson shifts the focus on the people who had to deal with the results of reconstruction. This lesson uses women, men, and documents to help put a “face” to reconstruction for my students. Something that will have a lasting impact! In teaching U.S History, one of the greatest difficulties is to get students to be engaged with the content. Too often we teach it like a trivia contest to see who can memorize the most in the shortest time and then regurgitate it on a test. Then we move on. One of the things that attracted me to this lesson was the difficulty for students to opt out and the differing points of view that are often lacking in a textbook. The information provided in this lesson allowed my students to get more than a cursory glance of some of the issues that are brought up in the question of Reconstruction. I particularly liked the excerpt from “Freedom’s Unfinished Revolution”…. The discussion questions included at the end of the document were well written to develop critical thought. There were good lower level questions that essentially asked for recall and then others that allowed for students to begin to synthesize multiple sources and build larger arguments. In my classroom, I used “Reconstructing the South: A Role Play” to cap off our study of the Reconstruction Era. I used multiple lessons from Facing History and Ourselves: The Reconstruction Era Curriculum Guide. This translated into a very dynamic student-run simulation. My two sections approached the simulation differently, one breaking into small groups to discuss various top priority issues and one electing to do so together. Through telling the stories they created, they advocated for personal possessions very well. The students approached topics of land acquisition, reparations by masters and the government, the right to bear arms, education, jobs, and fear and safety. All students were asked to write individual reflections. The responses were fantastic. Many shared that in real life they know compromise wouldn’t have been so easy. My school has students from all racial and national backgrounds with a high percentage of international students, so finding common ground and empathy is often difficult. This activity undoubtedly broke through this impasse. I used the Reconstruction role play materials in Augustana College’s winter symposium day on the theme of “privilege.” We had a good discussion and felt the challenges in addressing the questions. We felt that even with the benefit of 20/20 hindsight, we didn’t have adequate solutions that would result in less racism and inequality in the post Reconstruction period up through the present. For instance, while we agreed that we freed slaves earned the right to own much, if not all, of the land we toiled on, we were concerned about our wellbeing. How would we keep the heavily armed former slave-owners from hurting or murdering us? On this question, we came to the conclusion that freed slaves should earn a percentage of the profits earned from the land, but not be required to operate them. We wanted to go north, even though we knew they were racist up there too. In the end, we all wanted to know more about what actually happened during Reconstruction. This was encouraging. I urged participants to read Du Bois’ Black Reconstruction as well as Foner’s Short History of Reconstruction. My eighth graders have embarked on a significant journey this school year. We are attempting to understand how systems of racism in the United States have changed over time. This past week we jumped from understanding the origins of race and racism through the system of slavery to the opportunity of Reconstruction following the Civil War. In order to get students imagining what was possible, we used “Reconstructing the South: A Role Play” to kick off this portion of our unit. Students worked together in small groups and independently to answer each of the six questions within the activity. Students were engaged and collaborating effectively. However, the real magic took place when we had a whole class discussion/debate about the best solutions. There were clearly two ways of thinking for the students involved. On one side were students who were thinking pragmatically and trying to be realistic about what they thought they could have actually accomplished at this point in history. On the other side were students who were focused on doing what they believed was morally right and what solutions would best ensure the continued liberation of recently freedmen and women. The back and forth was powerful, and students were highly engaged in the process of not just thinking about history but participating in history. Finally, at the end of the day was a comparison between the solutions that won the argument and what decisions were actually made in history. The shock and disappointment were palpable. I used this lesson today in my US History courses. It was my first time using this lesson, and I loved it. I plan to use it again in the future. I loved the way it introduces Reconstruction as a topic and the way it forces students to take on another role to think about the “freedom” or lack thereof at the time. My students did wonderfully in taking on new roles and examining the issues of land ownership, protection, and voting. The way in which the lesson is designed allows students to engage in the complexity of history. I was reminded of a James Baldwin quote as they went through the tasks… something along the lines of “American history is both beautiful and terrible.” I find students always love being able to tackle issues in class that engage them in history. This activity was well-liked by most students because it allowed them to be active learners of history as opposed to the typical passive learning that is often thought of in history teaching. A few students commented that it was incredibly difficult to come to a simple conclusion. They said it was too complex. A few students even mentioned the ambiguity of the solutions and how that was hard to rectify. Students appreciated the discussion and a handful of them really immersed themselves in their roles. I look forward to using more Zinn Ed lesson plans in the future. “Our delegation should only advocate for the black male vote,” an 11th-grade student proposed during our “Reconstructing the South” role play. “We have to be practical,” he insisted, having taken on the character of a freedman in the South. “If we ask for too much, we’ll walk away empty handed. We’ll fight for the women’s vote next.” A few students’ heads nodded in assent before a dozen hands shot up. “Absolutely not,” a young woman responded. “We haven’t resisted slavery for 250 years only to continue to be disenfranchised. The Civil War is over. Now is the chance to demand what we rightfully deserve. Plus, Congress needs us. We grow cotton. We have organizing power.” And so the debate continued, heatedly, for sixty uninterrupted minutes, moving from voting rights to land redistribution to issues of safety and gun ownership. Starting the unit with the big picture debates not only made for an incredible day of student-led discussion but also kept the students engaged for the entire unit. After coming up with their own proposals for land distribution through the role play, for instance, students were eager to predict and then “find out” what actually happened, gobbling up the ZEP readings following the role play with uncharacteristic enthusiasm. Even long after the role play lesson ended, students kept returning to the deeper debates of justice and retribution, radicalism and realism, equity and equality that animated the role play. Running ZEP’s role play at the beginning of the Reconstruction unit was an incredible experience—the absolute highlight of my teaching career to date. I only hope I can frame future units in such a way that propels students to grapple with complex, unanswerable questions that have inspired centuries of struggles for justice. In one of the scenarios, our students answered “we should have a 3/5 compromise for former Confederates,” not allowing them to vote, yet counting them as 3/5 for purposes of the house of representatives and the electoral college. Students found it engaging to make decisions about the future of their lives. They liked that the scenarios gave benefits and disadvantages of making specific choices. As the teacher, I loved that the lesson had great guiding questions with well written, historically accurate activities that provided a great background of Reconstruction. In this time we are living in it is important to see how we got here. Our students were able to draw connections between the experience of African-Americans today and the legacy of Reconstruction. It was simply amazing to see the interaction and the engagement among my students while using this role-play. Due to my district’s scope and sequences, we are only able to study the period of Reconstruction for roughly three weeks. Three weeks does not allow ample time to break down the period of Reconstruction, but this role-play allowed my students to see the hardships that freed-blacks endured as they dealt with life after the war. 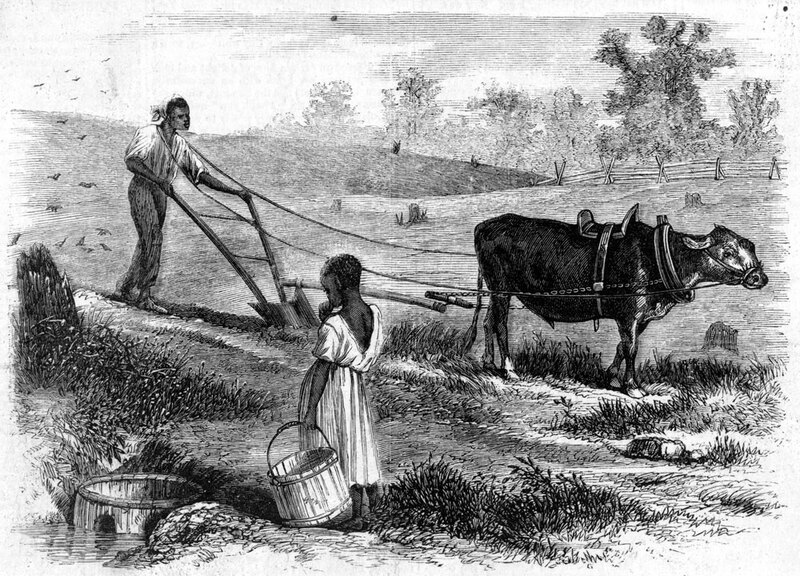 Another student mentioned that they had never considered the fact that, technically, freed-blacks didn’t even own the clothes that were on their backs, and that it would have been so hard for them to find work or find a way to be paid. Watching their eyes open up to a perspective of African-Americans and not a textbook’s view was an amazing experience as a teacher. I teach U.S. History I Honors in a math and science magnet school. I like to start my units with a hook and provide creative and engaging lessons. My students had just finished learning about the U.S. Civil War, studying everything from the Anaconda Plan to President Lincoln changing the aim of the war from union to emancipation. While searching for resources I came across the “Reconstructing the South” lesson and loved it. I set up the classroom and introduced the activity. For homework, the students came up with a name and wrote their personal narrative. The next day, I told them what we would be discussing but left it up to them to arrange the order. They decided to have conference-style setup, with one leader to move along the discussion. I loved the fact that they made it their own. They were well into character and discussed things that mattered to them. We timed the “Reconstructing the South: A Role Play” not too long after the students watched the documentary “Roots”, so they had a very good idea of the horrors of slavery and how degrading and traumatic the system was. Having this background, the students felt justified in some ways for taking land. However, there were also those who realized there would be backlash and animosity from southern landowners. The role/reversal example of taking lands from the Native Americans really made them think as well, but ultimately they focused on the unpaid debt of their forced labor for generations and felt entitled to ownership. Two out of the three sections voted to take the land, with the one vote being a razor-thin margin that could have gone either way. The role play succeeded in showing the tug of war that was Reconstruction. Activation of prior knowledge kickstarted discussions over issues like who would protect the freedmen and women from hostile groups like the White League and the rise of the KKK? The focus on land and property ownership, and the political influence it brings goes a long way in understanding why the groups mentioned above had everything to gain by resisting the forced Reconstruction of the South. I would highly recommend this simulation because the simulation itself is relatively brief, but the discussions and question/answer periods were extremely thought-provoking! I used a modification of the “Reconstructing the South: A Role Play” lesson on the Zinn Education Project. This lesson is so rich in primary documents that I had not seen before this lesson, so I knew that I wanted to expose my 11th graders to them, and I also knew that I wanted to center the authentic voices from the Reconstruction Era in our Reconstruction lessons. These activities enabled me to share an equally engaging and rigorous lesson with my students. Students found the documents rigorous, but I was pleasantly surprised at how many of them found them shocking. Students were shocked by how radical, and punitive Thaddeus Stevens was towards the South and empathized with Wyatt and his experience of abandonment and poverty. Students were more engaged in the role-play activity, as expected. I was shocked by how quickly students got into character as they read the questions and was pleased by how students were able to consider the different perspectives behind the possible answers. Overall, the documents and role play activity enabled students to inject themselves into this moment of history and to use the materials and questions to consider the tremendously difficult and important decisions made. I used the “Reconstructing the South: A Role Play” with my students and they were excited to be able to role play. I was excited that they would get to see Reconstruction from multiple viewpoints. We had gone over the various Reconstruction plans, but this activity allowed them to go beyond the political and experience Reconstruction’s impact on the people living at the time. I followed up the activity by showing the documentary “Slavery By Another Name” by PBS. This film was the perfect way to show the failures of Reconstruction and the long-lasting impact of those failures. The benefit of choosing Question 3 was that students were very passionate about their choices and it led to a level of discussion that I have not previously had with the group. It was also interesting because many students made comments reflective of the various Reconstruction plans, as well as the philosophies of Booker T. Washington and W.E.B. DuBois – all without knowing any of those ideas previously! I heard student comments of, “Yeah they should be punished! Have you ever heard the saying ‘A closed mouth don’t get fed’?” I also heard students remark “Silence speaks louder than words,” in support of not seeking retribution against former Confederates, but instead letting the future successes of African Americans speak for themselves. The discussion provided me with an effective way to help students explore the various Reconstruction plans and ideologies of prominent African Americans without lecturing at them or boring them. Because they “experienced” it, and reasoned through it themselves, I feel confident that they are much more likely to remember the content than if I had tried to force it into their brains myself. I find both of the Zinn Ed lessons on Reconstruction to be well thought out and immediately useable for teachers with very little prep involved. The procedure instructions and pre-teaching comments are relevant. Thank you for providing this resource! We welcome more stories. Teachers who send us feedback receive a free book. We want to hear about your feedback about use of our lessons on Reconstruction. In appreciation for your time, we will send you a free copy of A Short History of Reconstruction.